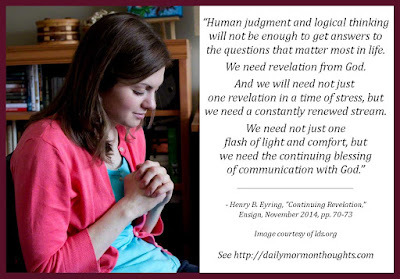 "That personal revelation of acceptance, for which we all long, does not come easily, nor does it come simply for the asking. The Lord gave this standard for the capacity to receive such witnesses from God. It is a guide for anyone seeking personal revelation, as we all must. "'Let thy bowels also be full of charity towards all men, and to the household of faith, and let virtue garnish thy thoughts unceasingly; then shall thy confidence wax strong in the presence of God; and the doctrine of the priesthood shall distil upon thy soul as the dews from heaven. 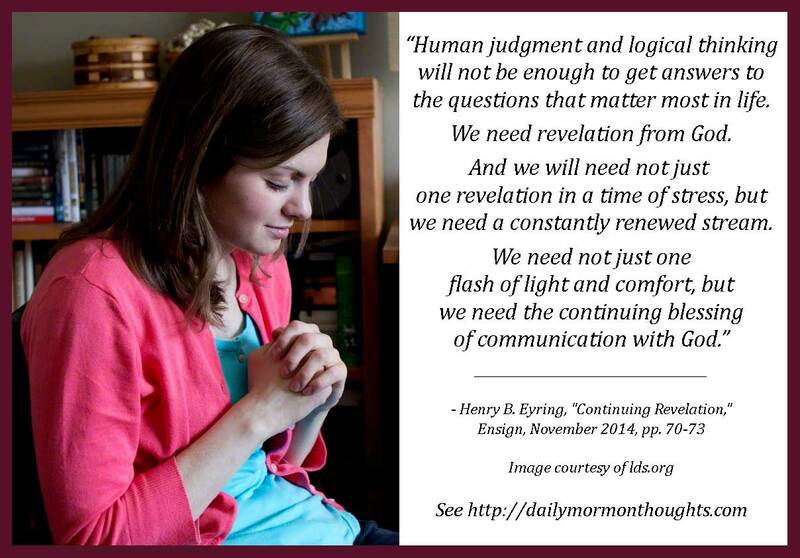 "'The Holy Ghost shall be thy constant companion.' (D&C 121:45-46)"
When we talk about "the questions that matter most in life" it's a very different story than the day-to-day decisions we all deal with, and sometimes even the things we think are crises in our lives. The things that really matter are certainly the things of eternity, of spirituality, of "judgment, mercy, and faith" (Matt. 23:23), of obedience and righteousness. But so many of the other decisions and dilemmas of our lives seem very important to us, and they are in their time and way. I believe that a loving Father understands our feelings and needs, and is eager to respond as we turn to Him for assistance. 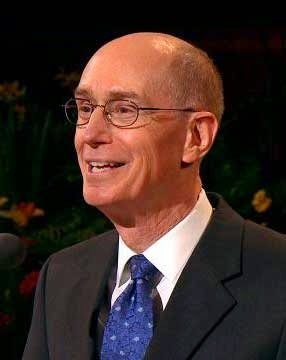 President Eyring reminds us that the great gift of ongoing revelation does not come "simply for the asking." There are some prerequisites that include charity, faith, and unceasing virtue. Those we must never forget.